In recognition of World Environment Day this month, we hear from ACECQA’s National Education Leader Rhonda Livingstone about sustainability and how it can be incorporated into services’ programs and practices. Standard 3.3 of the National Quality Standard aims to encourage children to increase their understanding about their responsibility to care for the environment, day to day, and for long-term sustainability. Standard 3.3 recognises that children develop understandings of themselves and their world through active, hands-on investigation. A supportive active learning environment encourages children’s engagement with the environment and provides authentic, meaningful experiences to be embedded in every day practice. Traditionally, many educators have embedded sustainable practices in services. Examples include recycling boxes, leaves and paper for collage; emptying water troughs into garden areas; using wood tailings for carpentry; and separating food scraps and packaging. It is important to build on these practices and think about other clean, green and environmentally friendly practices to share with children. Children and families should be encouraged to contribute ideas and suggestions and there are often community organisations such as local councils that can provide suggestions and advice. 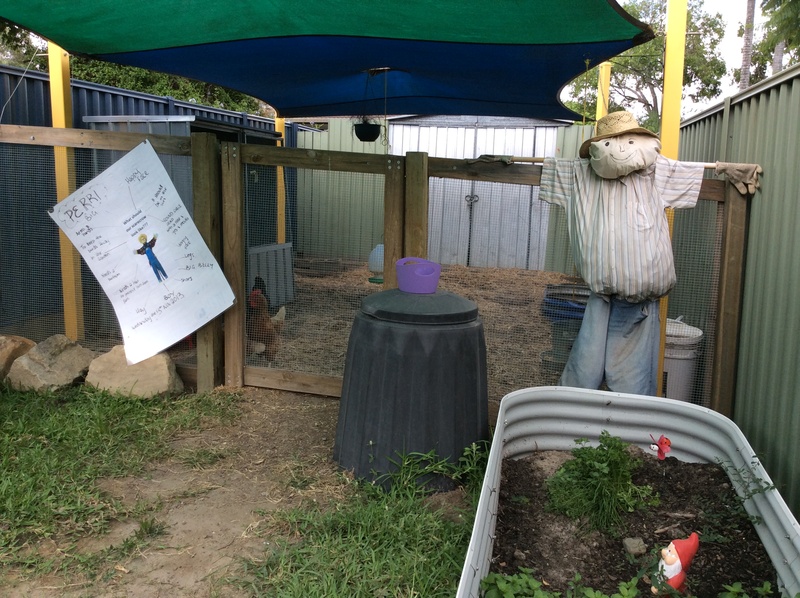 The Little Green Steps is an example of a collaborative project between early childhood services, councils and community organisations to embed sustainable practices and change behaviours. The Guide to the National Quality Standard includes examples of sustainable practices, but it is important to remember these are only examples and services are encouraged to consider the wide range of ways to promote sustainability within childhood learning. Services can bring to children’s attention the importance of recycling, energy efficiency and water conservation through a variety of creative ways. While solar panels, water tanks, worm farms, vegetable patches may help, it is important to consider the setting, the children, the families, the educators and the community when choosing and implementing sustainable resources and practices. What will children learn from the experience, how will it contribute to their knowledge and understanding, and is it meaningful for the service? Undertaking an open, honest assessment of your service against the elements in Standard 3.3 is a good starting point to identify the strengths of your service and areas for improvement. Then it is important to review your Quality Improvement Plan to identify the priorities for attention. The questions on page 100 of the Guide to the National Quality Standard will also help prompt discussion and guide reflection around this standard. Learning Outcome 2 in the Early Years Learning Framework and Framework for School Age Care also provides insights about helping children to be socially responsible and show respect for the environment. There are a number of resources to provide information on embedded sustainability practices, examples include Early Childhood Australia’s webpage on sustainability resources and the Inclusion and Professional Support Program’s Online Library. creating garden patches, allowing children to participate in growing fruit, flowers or vegetables. For infant and toddler groups, implementing sustainable practices could involve making considered decisions about the nappies to use and looking at options that are environmentally friendly or have minimal environmental impact. Consideration could also be given to choosing environmentally friendly cleaning products and procedures. 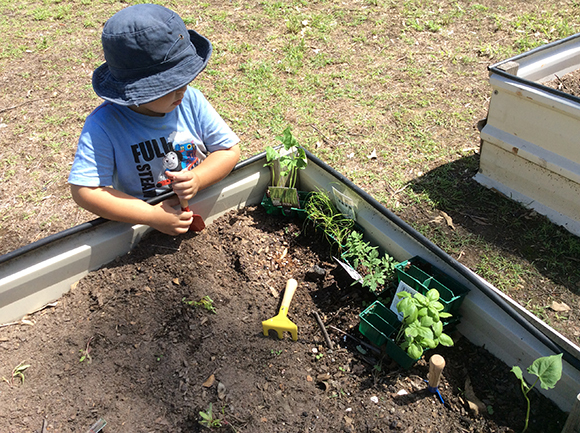 ACECQA recently spoke with educators who undertake gardening with their infants and toddlers, watering plants, picking strawberries, with educators and children modelling sustainable practice for younger children. In order to be empowering, sustainability programs should be positively focused and affirmative. They should emphasise the child’s ability to make a difference. These programs enable children to learn and appreciate their environment in an engaging, fun and exciting manner. What will assessors look for in assessing National Quality Standard 3.3? Assessors will be looking for a range of opportunities offered by the service to support children develop an appreciation of nature, respect for the natural environment, understanding of the interdependence between people, plants, animals and the land. Assessors will also be looking to see if sustainability is embedded in the service’s educational program and in the routine and practices of children. For example, while setting up a nature table or recycling system are positive starts, these activities should not exist in isolation, but be built upon, coordinated and consistently undertaken to become an embedded practice. Before your rating and assessment visit, think about what you would like the authorised officer to observe, discuss and see that will demonstrate how the National Quality Standard is met. This is your opportunity to showcase how management, educators, children and families are working collaboratively to embed sustainable practices that are meaningful and relevant. making energy-saving tips available to families. The possibilities are endless, and the potential limitless.